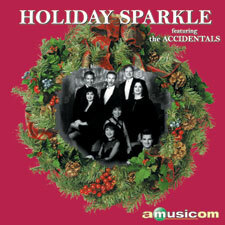 A collection of Christmas classics, beautifully rendered by the award-winning a cappella group, The Accidentals. These wonderful choral arrangements include Bach's masterwork, In Dulchi Jublio and lively a cappella renditions of non-denominational favorites such as Jingle Bells and Deck the Hall. Amusicom has also included versions with orchestral accompaniment as well as instrumental versions of these Holiday Songs. Tis the season to be Jolly!